Onguard Defender uses several advanced technologies: automated whitelist, fileless script blocking, and brute force attack mitigation. The software also includes patch management and driver updates, keeping known vulnerabilities patched before hackers can exploit them on your system. Onguard Defender will keep your systems safe, but you need to do your part too. Learn all about modern cyber threats, and how you can avoid falling victim. Stop malicious ads in their tracks with our Adblocker software. 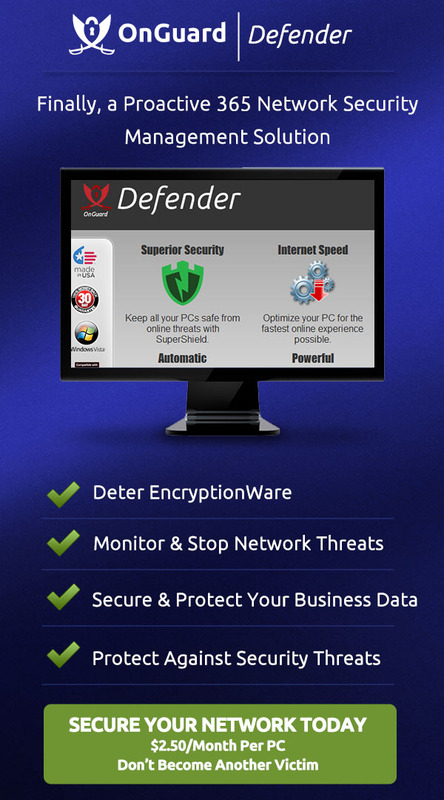 Onguard Defender advanced technology also protects you from the fake virus scams, blocking it before it can lock down your web browser and cause issues on your computer. Your computer systems can slow down over time. They slow down the more you use them, unless they are properly maintained. Onguard defender keeps your systems running at peak performance with scheduled scans cleaning out junk files and accumulated temporary data you do not need on your system.